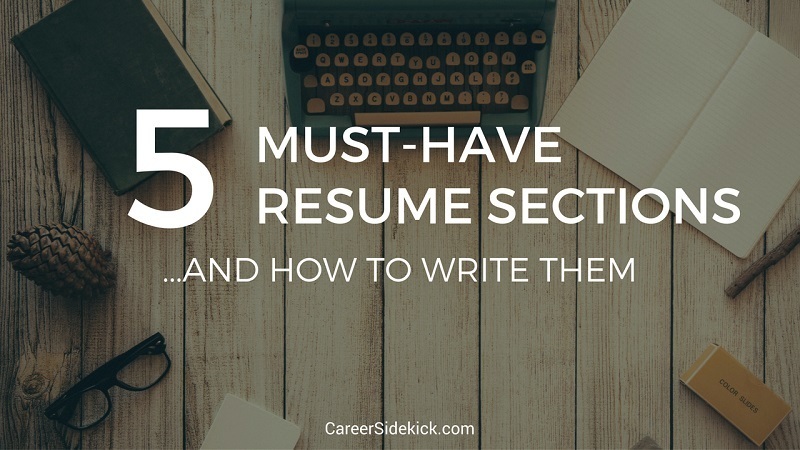 After the five main resume sections to include, I will share a few extra tips and reveal a couple of additional sections you can use to get even more interviews, so don’t miss that. This isn’t really considered a section of your resume – more like a header. But it’s essential. Keep it simple and put your name, address (if you want), and email address. You can include a phone number too if you’d like. This is the summary at the top of the document, immediately following the header. It should be a 3-4 line summary that gives a high-overview of your career thus far, while naming several of your key acomplishments. It’s also important to potentially list one or two of the job titles you are targeting, as this is a key area scanned by an Applicant Tracking System. If you want more info and examples of how to write this section, check out this article on resume summary examples. You can jump right into your summary without a title, or you can use either, “Career Summary” or “Professional Summary” for this section. If you have any work history at all, employers are going to want to see it near the top of the first page of your resume. In fact, you should consider putting it before your “Skills” even. Why? Most hiring managers prefer to see the dates and jobs where you performed each task (and built each skill), instead of just seeing a general list of all your skills. This is especially true if you plan on listing 15, 20 or even 30 skills. A long list, with no reference to where each skill was used, isn’t going to impress very many employers. So putting a general “Skills” section at the very top of your resume often leads to the reader skimming over it and continuing down the page. Not good. Remember that you don’t have to include every single job that you have ever had. In fact, you should only include the most relevant information or the last 10-15 years of job history. If there is relevant job history prior to this, it can be included in a section called Earlier Career History and dates should be removed to avoid any possibility of age discrimination. If you want examples and more tips for this, here’s an article full of great resume work history examples. The next area that should be highlighted are your skills and abilities. This area can be called several different names; however, the purpose is the same. When you are reading a job advertisement, there will be a part that lists the qualifications or skill-sets required. These are the same words that should be listed in your resume. As an example, if the job requires “Management Abilities,” and you currently have “Supervisory Skills” listed in your skills section, then change yours to reflect “Management Abilities.” This will allow you to better pass the ATS process. If you want more information on how to tailor your resume for the specific job to get more interviews, this article will reveal how. Education should typically follow your Professional History and Skills sections. Remember that you do not need to include a graduation date with your education. In fact, I discourage clients from including a date, as this could begin to “date” you at some point in the future. The only time that Education should be placed prior to Professional History is when someone recently graduated from college and has little to no professional experience. For everyone else, stick to the order. This is a section that can be utilized to outline any volunteer activities, leadership positions, or significant impacts that you have made within the community. While this section is not a requirement for a resume, it is often a way to develop talking points or showcase your interests outside of work. Note that some people recommend swapping sections #2 and #3 above. So if you’d like, you can put the Skills section above the Work Experience section. Or, at least put a small area highlighting your KEY skills (maybe 5-10 skills) that are most relevant to the specific job you’ve applied for. That could be a good small piece to add before your work experience section. If you are in a highly-technical or analytical field where software and hardware expertise is necessary, it’s probably best to outline it in its own section. If you have an important certification (i.e. a CPA or PMP) or have attended numerous seminars in your field, it’s vital to show that you are a continuous learner and are willing to go above-and-beyond with bettering yourself and your career goals. If you are looking for a way to really differentiate yourself and want to provide a third-person perspective, you can even include snippets of testimonials from customers, team members, or managers. This is another way to highlight your core competencies and what you can offer to a potential employer. If you speak more than one language and think it might be relevant to the employer, definitely include that. It’ll set you apart and they’ll probably ask you about it in the interview, so it’s a good conversation-starter too. Creating a resume is both a science and an art. There is no one “right” way to outline your professional background; however, following this list of must-have resume sections and including each one will help you get the attention of hiring managers so you can get more interviews. 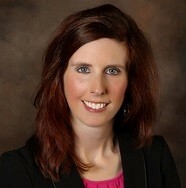 Dr. Heather Rothbauer-Wanish is a Certified Professional Resume Writer and owner of Feather Communications (http://www.feather-communications.com). She holds an MBA and PhD in Organization and Management, and has been working with job seekers since 2008 to develop forward-thinking, eye-catching, and dynamic resumes for today’s marketplace.